Out of the blue I received a request for hospitality from an old friend not seen for years. Don't misunderstand me, he's one of the best chaps one could wish to meet, but he's not the kind you can leave sun bathing on the terrace with a glass of the local fizz and a magazine. Not only is he interested in seeing all the sights that you saw many years ago, but he needs to know why it's there, who lived there and what happened to them. 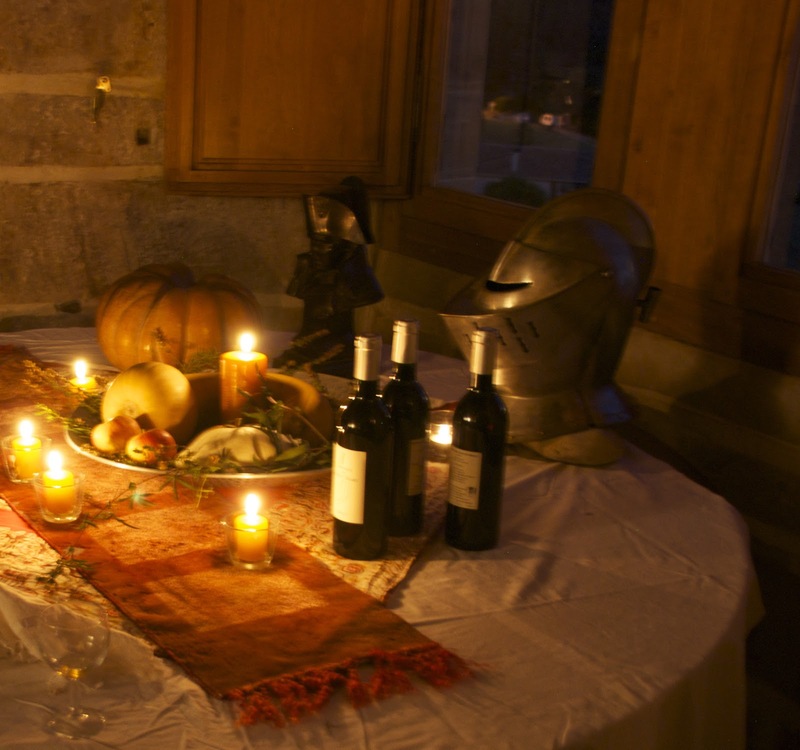 Imagine my joy on getting a mail from Les Amis du Château de Saint Ferriol inviting me to a medieval banquet and a talk before on the Cathars. I've known James McDonald for over ten years and our conversations at drinks parties and over fried English breakfasts in the local greasy spoon has been confined to rugby, politics and him taking ten euros off me for knowing that a Bryan Ferry song was a cover of an American one, perhaps with amended lyrics. Now if his knowledge of the Cathars was as good as that of 1960s American rock, all my problems would be solved. 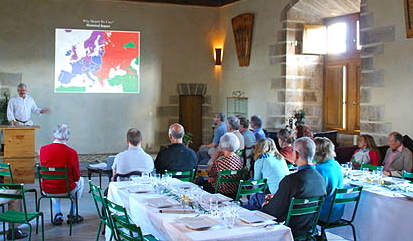 We were not disappointed, James gave a fascinating presentation accompanied by the 21st Century equivalent of slides that brought the Cathars back to life. Not only that, he put the whole period into the context of European history probably known to us all even it derived from films such as The Lion in Winter and The Name of the Rose. 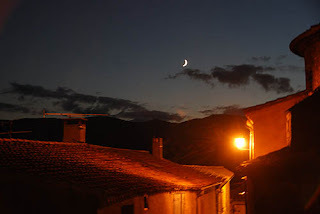 He also incorporated how the Occitan region and its language form such an important part of the life and culture of the South of France of today. 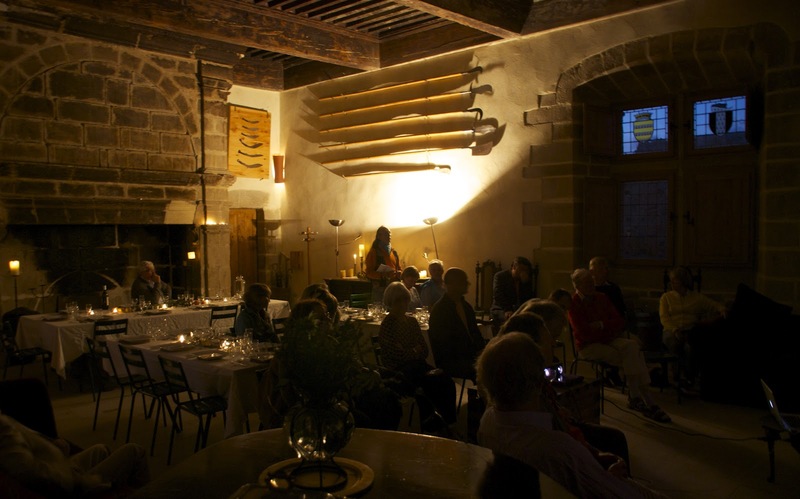 The banquet after, superbly organised by his châtelaine Sophie was not only interestingly different but also delicious. We had the pleasure of sitting with some American tourists, whom I think were in search of Mary Magdalene. 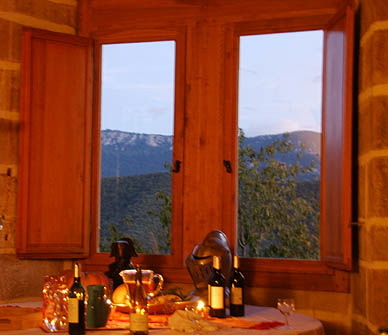 They were enraptured by the evening and their surroundings, so even if they didn't find her they, along with my visitor did get a fount of knowledge to enrich their forthcoming visits to the Cathar castles. So for the future, if you get an invite to a similar soirée go along but take a cushion, the seats are also "medieval" and I'm adding James' book about the history of Christianity to my Christmas list. Great talk by James McDonald on the Cathars – clear, interesting, well illustrates and a real help to understanding the area. 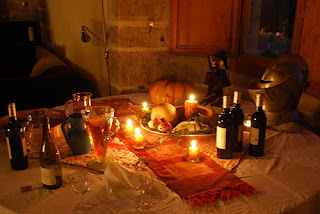 Followed by a Medieval feast from Sophie – wonderful. Huge variety of tastes and textures and lashings of wine.